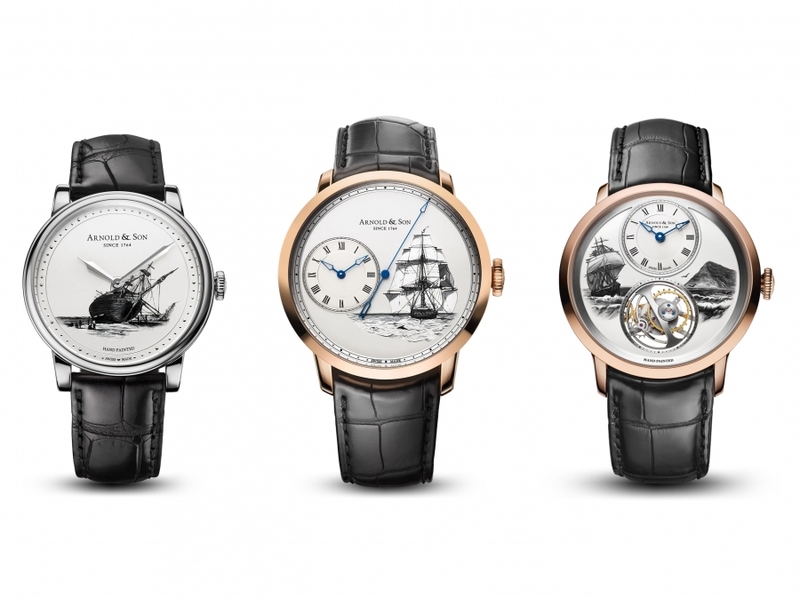 Arnold & Son has announced a trio of timepieces marking Charles Darwin’s voyage of discovery. It’s a limited edition series of eight sets of three watches. 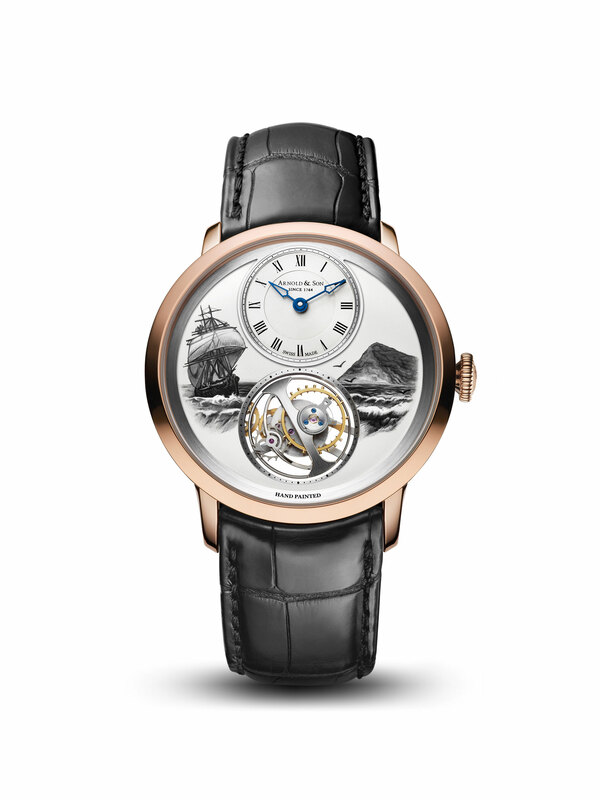 Each of the watches feature hand-painted miniature of HMS Beagle, the ship that took Darwin on his three survey voyages. The Beagle’s second voyage is best known for a five-week stopover in the Galapagos Island, which gave Charles Darwin the foundations for his theory of evolution. The voyage’s express purpose, among other things, was to establish a chain of linked reference points with known longitudes that could be used by future navigators to set their chronometers precisely. 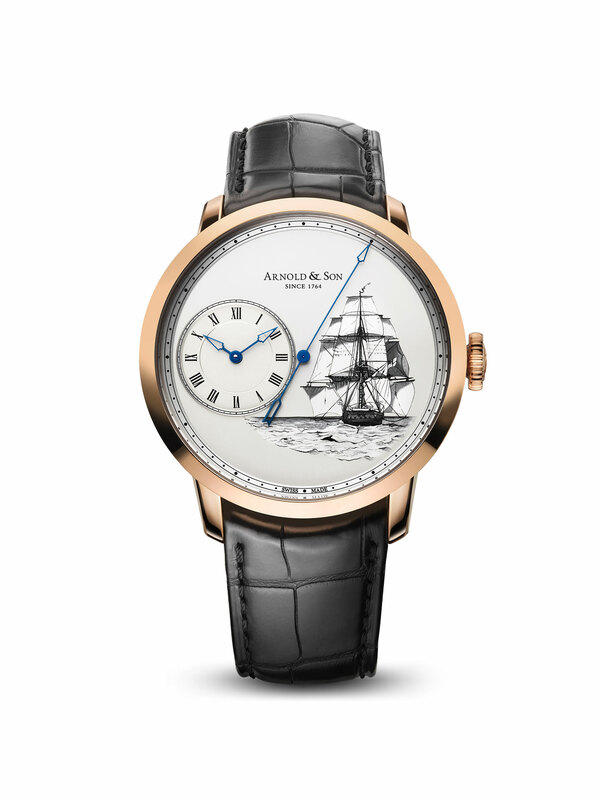 For this purpose the ship carried an unprecedented 22 marine chronometers, five of which were by Arnold and associates. The large number of timepieces was necessary because of inevitable malfunctions, when a collection of chronometers guaranteed better average values. John Arnold was an inventive British watchmaker from the 17th century. Along with other watchmakers, he also addressed the problem of determining longitude, and won several grants and awards offered by the British Parliament. 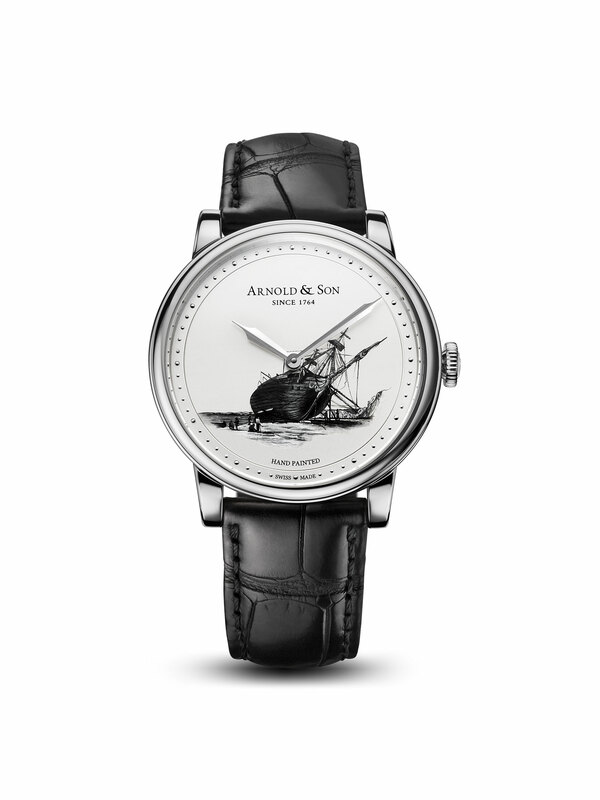 Like most brands, Arnold and son is a rejuvenated name by a Swiss watch company and has no connection to the original company founded by John Arnold. Very nice black alligator leather watch band.